Blair School of Martial Arts LLC is located in Altoona, PA and teaches traditional Tang Soo Do, a Korean martial art style. We are a member school of the International Tang Soo Do Federation (I.T.F.) TM. 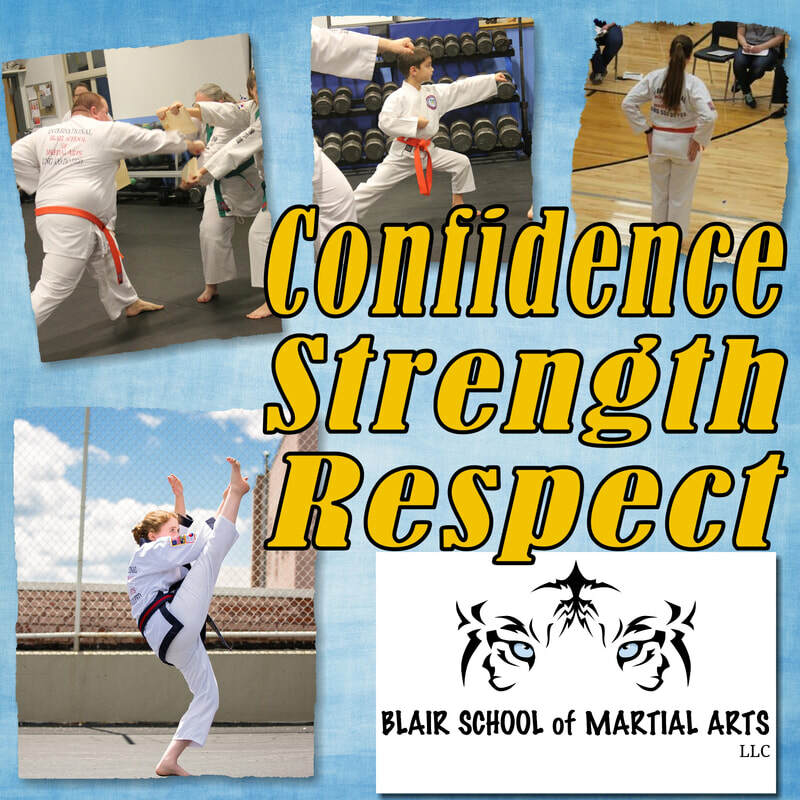 Blair School of Martial Arts LLC is committed to following the high standards set forth by the I.T.F., and is proud to be teaching the history, philosophies, and techniques of traditional Tang Soo Do. Enjoy learning a traditional martial art from an authentic Tang Soo Do school. We also offer classes in cardio and fitness based Kickboxing. At Blair School of Martial Arts LLC, our style/training has a deeper philosophy than just learning how to kick and punch. We teach our students discipline, respect, and integrity; to build character and become better individuals. Blair School of Martial Arts LLC offers a positive and family friendly learning and training environment. Provide quality instruction of the philosophies and self-defensive aspects of traditional Tang Soo Do, to enhance a student's confidence, respect, and strength level as a martial artist as well as an individual. Tang Soo Do instills discipline and respect. Build confidence, strength, and character, while learning self-defense. 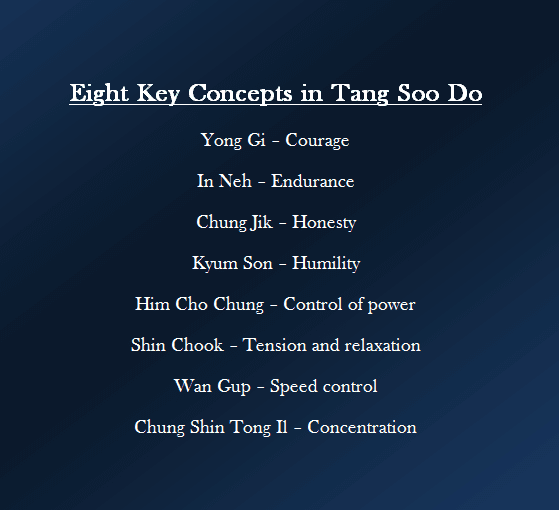 Practitioners aspire to follow the ten articles of faith of Tang Soo Do. Such principles improve the mental and physical self while training, and also throughout daily life. 7. Be faithful between teacher and student.